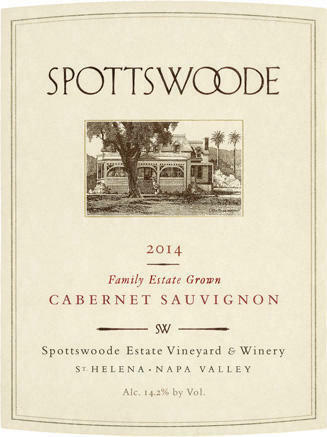 Spottswoode is a family-owned grapegrowing and winemaking estate located on the western edge of St. Helena in the Napa Valley. The historic Victorian home in which Mary Novak has lived since 1972 (and in which she raised her family) is depicted on the label, and our estate vineyard, which stretches behind to the Mayacamas mountains,has been organically farmed since 1985. We focus on producing limited quantities of only two wines - Cabernet Sauvignon and Sauvignon Blanc. Our goal is to produce wines that stand among those of the world's great wine estates. Tasting Room Size Small Tasting Room Atmosphere Our intimate tour and tasting experience begins with a walk around the entire estate, including the historic Spottswoode home and gardens, our vineyard, production buildings, and “ghost winery” stone cellar, finishing with a seated tasting of the current vintages of our Spottswoode Estate Cabernet Sauvignon, Lyndenhurst Cabernet Sauvignon, and Spottswoode Sauvignon Blanc.